Inge Morath’s photographs featured in the book, Inge Morath: On Style. The mannequins, following the show, Dior Show at Blenheim Palace, Oxfordshire, 1954. “Whether photographing festivals or artists’ studios, on films sets, the street, or the fashion runway, what distinguishes Morath’s photography is an unerring eye for life’s brilliant theatricality,” Jacob wrote in the afterword for a new collection of the photographer’s work published by Abrams, Inge Morath: On Style. 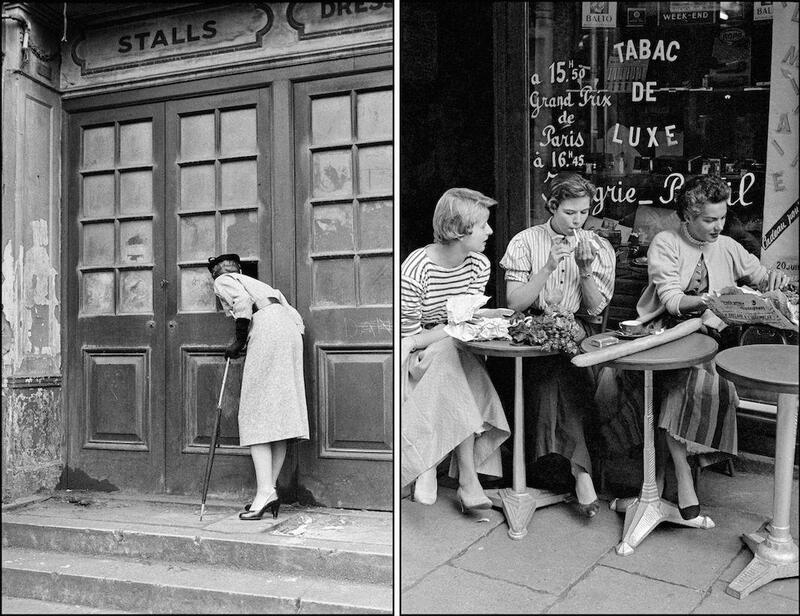 Left: Mayfair and Soho, London, 1953. Right: French Sunday morning is the time to go shopping. American Girls in Paris, 1954. 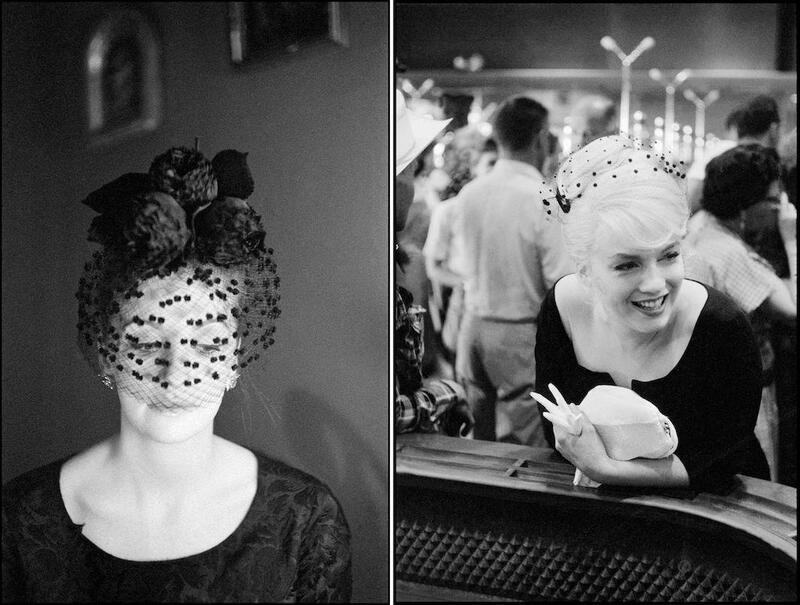 Left: Hat Show, London 1955. Right: Actress Jayne Mansfield at home, Portrait, Hollywood, 1959. 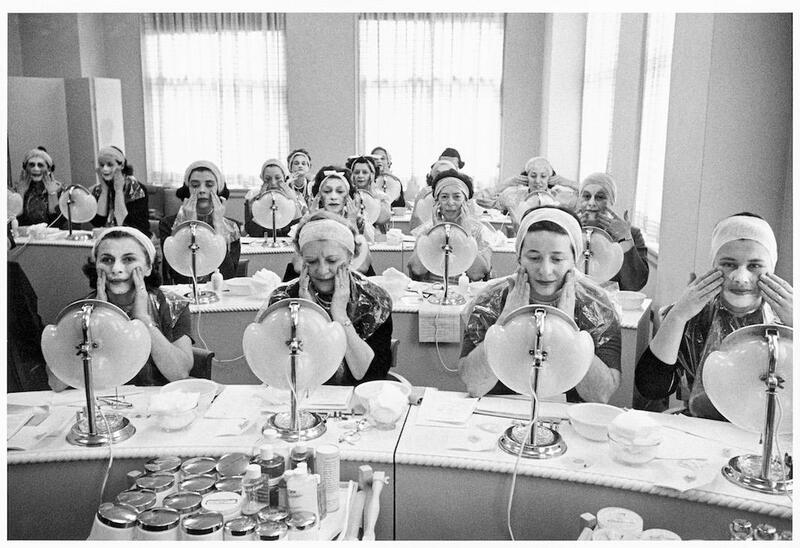 “Five Day Wonder School,” Helena Rubinstein Beauty Salon, New York 1958. Morath was born in Austria in 1923 and grew up in Germany during World War II. She became a journalist and translator in Munich and Vienna after the war, and by 1949 she started working with the photojournalist Ernst Haas. 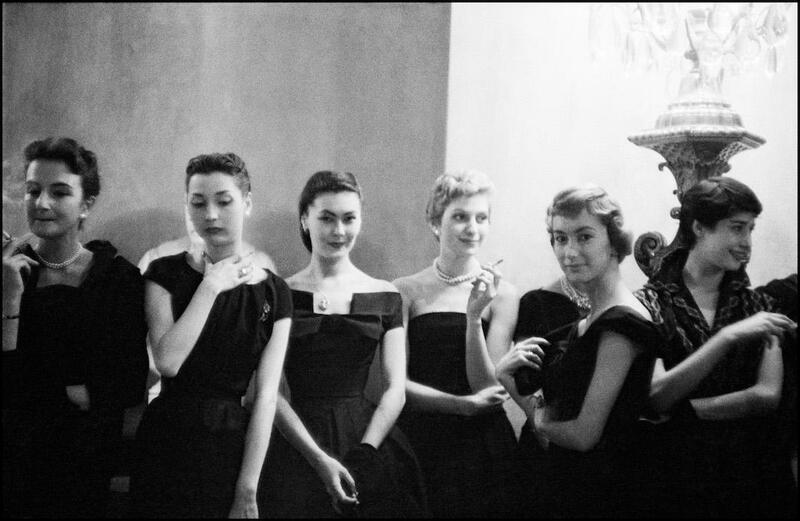 Their work got them noticed by Magnum co-founder Robert Capa, who invited them to Paris. When she arrived, she joined the agency as a writer and researcher for Henri Cartier-Bresson, and by 1955, having honed her photography skills, she became a full member. Throughout Morath’s life, her exuberant approach to image-making, which she herself described as a kind of “dance,” earned her influential friends in a variety of fields. In 1952, while shooting stills for the film Moulin Rouge, she befriended director John Huston. Years later, while photographing another film of Huston’s, The Misfits, she met Arthur Miller, who became her husband and frequent collaborator. 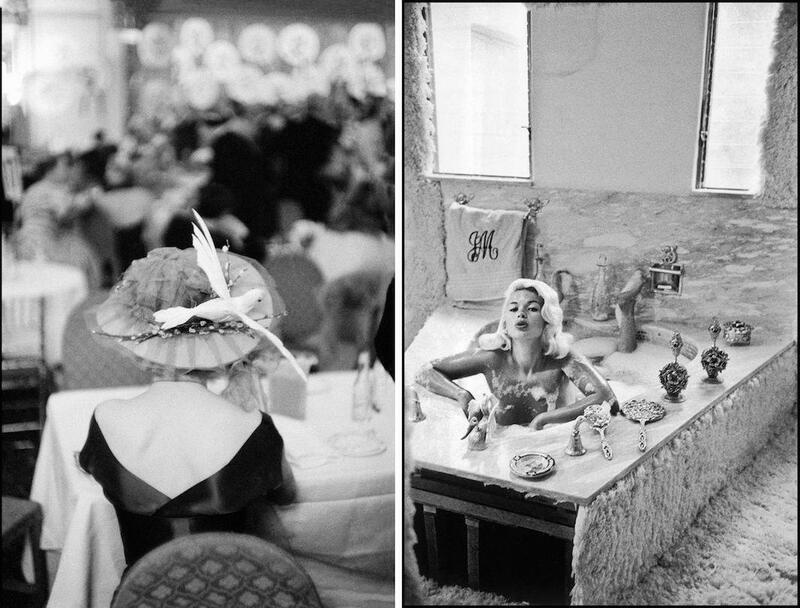 Over the course of her career, her assignments and her personal connections led her to photograph some of the biggest stars of the day, including Audrey Hepburn, Marilyn Monroe, and Jayne Mansfield, as well as many well-regarded artists. No matter who was in front of her lens, Morath had a knack for feeling utterly at ease while she was working and making her subject feel the same way. “The photographer’s style is the manner by which she elicits and captures the singularity of her subject, the dance with another by means of which she, too, becomes singularly herself,” Jacob wrote. 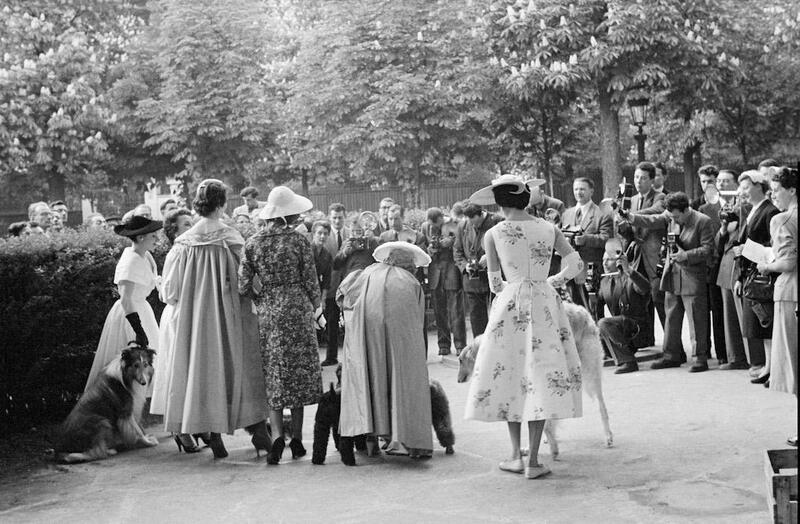 The outside garden of Les Ambassadeurs, the restaurant where the “Beauty and the Beast” fashion contest took place, Paris, 1954. Left: Gloria Vanderbilt at home, Gloria Vanderbilt, Heiress and Designer, New York, 1956. Right: Hepburn in her Mexican hat, Portrait, Durango, 1959. 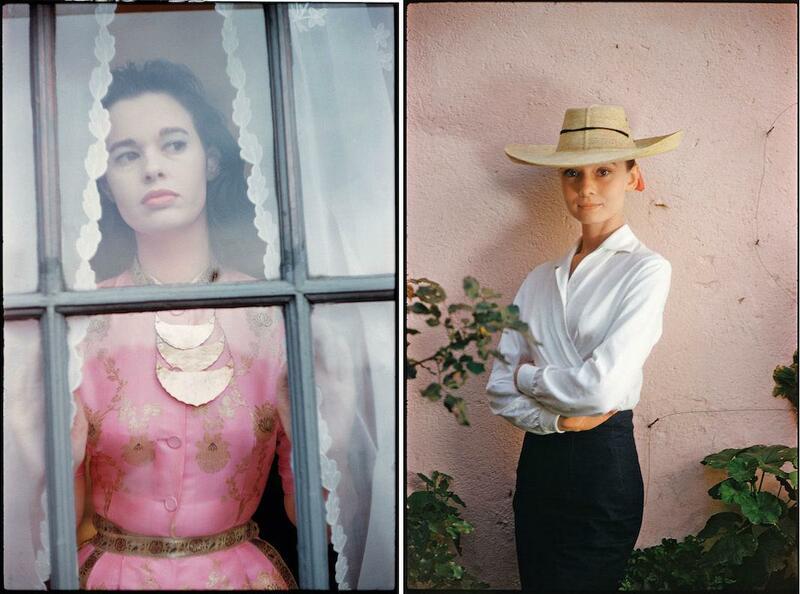 Left: Doris Kleiner, model, Portrait, 1959. Right: Monroe during production, On the Set of the Misfits, Reno, 1960.